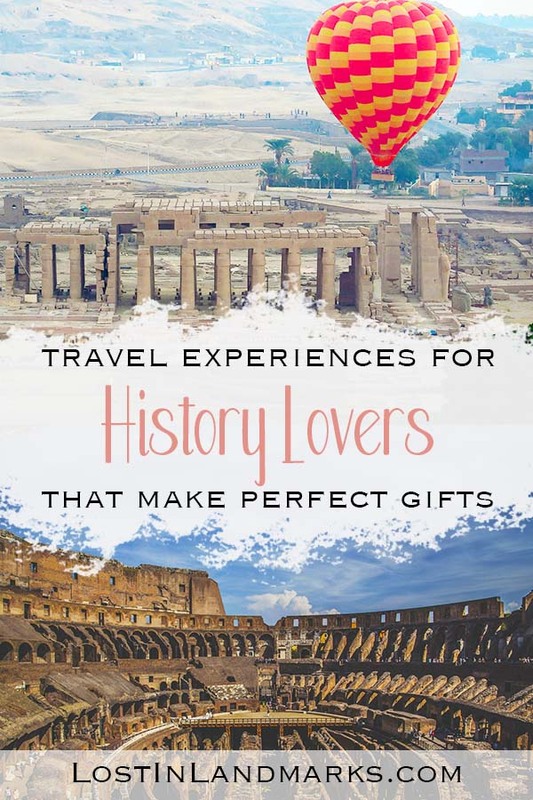 If you have someone you want to buy a gift for and they not only love history but they are travel lovers too, I’ve got some great ideas for you here to get them something really unique. 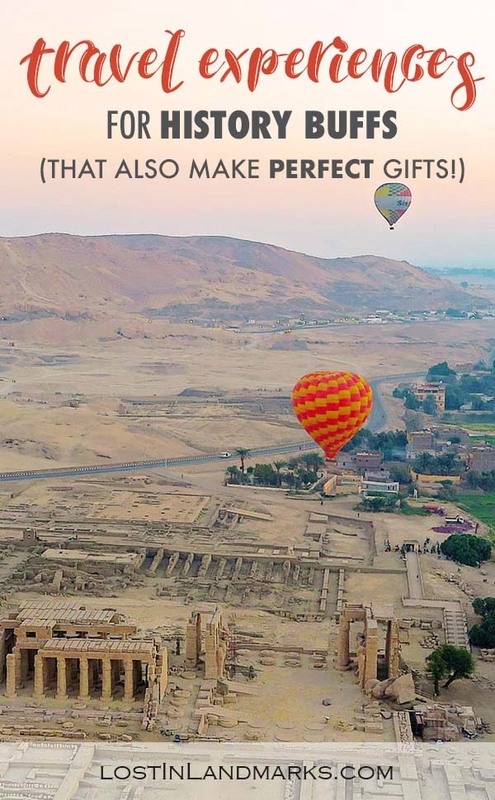 These historical experience days and gift ideas will definitely prove that you’ve been thinking about them, especially if you can tailor them to an upcoming trip they are taking. I’ve often linked to a couple of sites below – you’ll see images from a company called Get Your Guide and also links from Viator (owned by TripAdvisor) – these are the two top companies for buying tours online and I particularly like them because you can see reviews from other people who have taken the tours. No wondering if it’s worth it or if your money is at risk – these are big sites. They have so much to choose from too so if you are looking for a specific destination then do have a search on their sites. I find Viator better for choice in the United States and Get Your Guide is better for Europe. If you’re wondering about how to buy these items if you don’t know the dates and times your gift recipient will be there – scroll on down to number 10 and you’ll see a way you can incorporate these without risking it not working. 1.2 2. Skip the line tickets – save them time! No matter where you’re travelling to you’ll find there’s some walking tours to take and if you want to by something special yet your budget is on the lower side I’d definitely recommend a walking tour. These tours are often run by people with local knowledge or specific knowledge of the place you’re visiting. So if you’re interested in the WW2 history of London you’ll find a tour for that. Or perhaps you want to know more about the American Civil War when you’re visiting Savannah or the jazz music scene in Memphis – you can find something to suit. 2. Skip the line tickets – save them time! So many of the big attractions have huge lines with them. 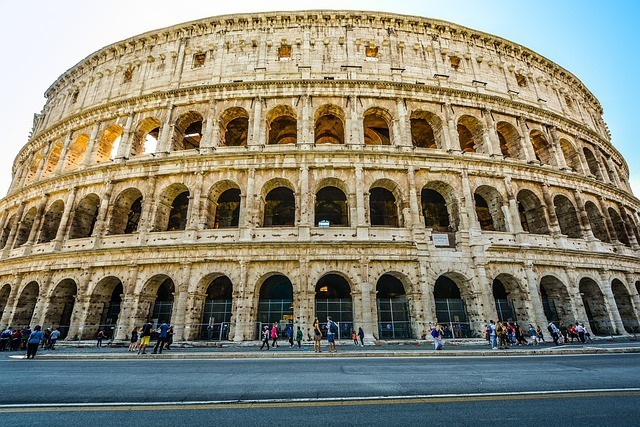 Take the Colosseum in Rome for example – you can queue for a couple of hours to get in. If you know they’re off to see these big sights then a skip the line ticket would likely be really appreciated as it can mean more time for eating gelato or heading off somewhere else. 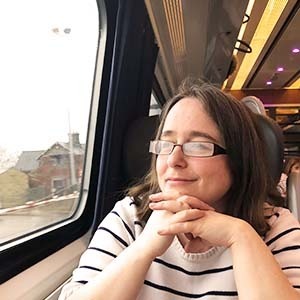 It also means that they’ll likely enjoy the place so much more as they’ll be less stressed by waiting – I know for me it can really take the shine off a place. Often criticised as being just incredibly touristy (and they are a little bit) they have their good points too. Often you can find tour buses that tell you about the history of the place as it takes you around as well. And if you only have a few hours in a city and want to make the most of it they are one of the best ideas, especially if you’re in a city like London where the sights you might be interested in are spaced out. You can find some pretty quirky tours as well, perhaps on a vintage bus or an old amphibious duck vehicle. Personal or private tours of a site that really interests you can really open up the day – you have exclusive access to the tour guide so you can ask as many questions as you like. And you’re not only restricted to small tours of historical sites – you could even arrange a personal tour of a whole region like of the castles in Scotland. If they have a dislike of large tour groups this could definitely go down well. Again if your recipient has some special interests a behind the scenes tour could make their day as they get to see what others miss as they shuffle round the regular tour. Looking for something a bit special? How about a unique viewpoint over the historic site or city you’re visiting? 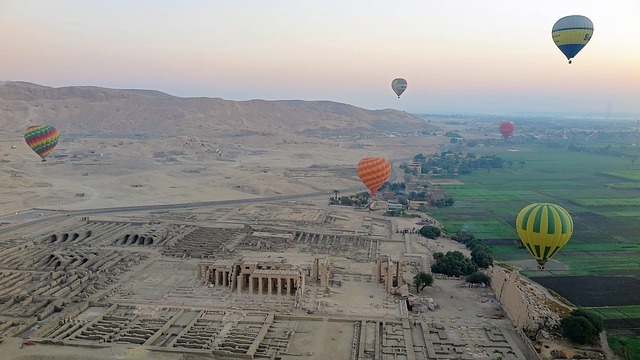 A hot air balloon ride over Luxor in Egypt would be pretty special or a helicopter flight or even a small chartered plane ride over a special place. Perhaps you’d like to have a special flight in a historic plane like this one in Cambridgeshire, UK? How about a stay in a castle like this one in Scotland? Or perhaps you could stay somewhere that has a famous past like some of the hotels on Route 66? Choosing a really unique and special hotel or apartment could turn a regular trip in to something special. There’s all sorts of exciting places to stay on AirBnB too which might be worth searching depending on where you’re off to. Also check out Virgin if you’re in the UK as they have some good ideas on their experience website. If you’re really stuck for an gift idea you could get a gift card or voucher from a travel site. For flights you could get a Southwest Airlines card or a CheapoAir card. For accommodation try Airbnb cards and Hotels.com also sells their own gift card too. Loads of cities have museum passes which allow unlimited entry to the main museums in a certain day. For example in Berlin you can get their museum pass and it will cover you for 3 days in the city. Quite often these passes not only cover the historical sites and museums, but sometimes give discounts on food and other things to do in the city as well. CityPass is good if you’re in the US – they cover Boston, Philadelphia, Chicago and many other cities. You can see all the destinations here. Here’s a few other cities that have something – you can also search on Get Your Guide to see if your destination has something too. Perhaps search by region or city? 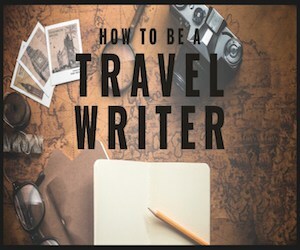 What better way to remember your trip of a lifetime than your own photographer who can capture you among the amazing historical places you see while travelling. It’s a great gift to someone as well – they even do their own gift cards. You can see Flytographer here – it’s top of my list of experiences for my next trip!! Finally, perhaps you love the idea of gifting an experience to your loved one but you’re a bit worried about getting it wrong and don’t want to commit. I totally understand and I know many people who I would love to give something like this but I know they’d probably like to make the choice themselves or I have no idea their exact dates. What you could do is make your own ‘gift card’ up or perhaps even a ‘gift experience coupon’. Tell them they have the value of whatever you want to spend and get them to look at the Get Your Guide site or Viator and choose. Alternatively print out the experience that you intend to give and ask them to choose a date for you to book it. Everyone is happy!